Ashington FC manager Steve Bowey said he was delighted with a tough workout - despite a 4-0 defeat against Blyth Spartans on Tuesday night, writes Brian Bennett. The Colliers went into the clash at Croft Park holding a 100 per cent record after three pre season friendlies but once Sean Reid and Jamie Holmes had struck first half goals for the Spartans, the result was never in doubt. A quick fire brace on the hour by Bradley Fewster took Blyth’s tally to four and Bowey, reflecting on a contest which was littered with chances, said: “It was an excellent workout. 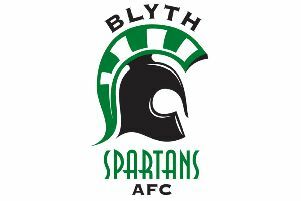 Obviously Blyth from the Conference North League - who finished just outside the play offs last season - are a very good outfit and it showed tonight as they oozed class. “They have got some very good players and we were tested defensively but there were a lot of positives for us to take out of the game. We may have lost 4-0 but we created seven or eight great opportunities and it was also pleasing to see a lot of our young lads come through what was a tough test. “I was delighted with the whole round performance which included some solid performances.” He continued: “We had won our previous three games before tonight but this was always going to be a tough test and we had to dig in at times. Blyth brought some very quick lads on second half who caused us a lot of problems but it was an excellent game in terms of match fitness and mental fitness. *Ashington’s next warm up encounter is on Friday (July 20) when they make the short journey to face Bedlington Terriers (7.30pm kick-off).